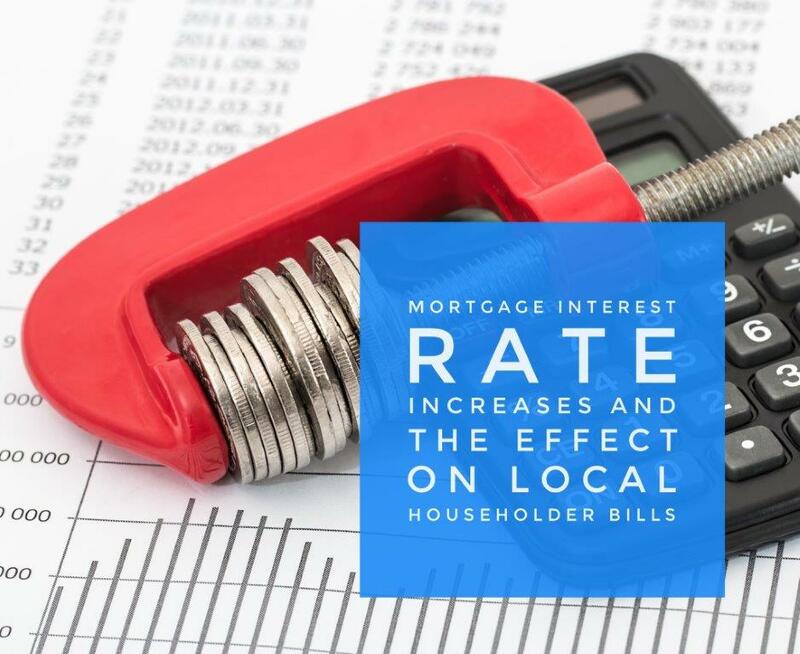 Canterbury homeowners will be among those affected by the latest rise in the Bank of England interest rates. The first increase in 10 years; they have just been raised from 0.25 percent to 0.5 per cent. This uplift comes as inflation hits a 51-month high of 2.9 per cent whilst the national unemployment rate is at an all-time low of 4.3 per cent. Interestingly, the Governor of the Bank of England has indicated that the interest rate is likely to increase again over the next couple of years, but Mr Carney said mortgages and savings would not be affected in the short term. However, look at all the big banks and just about all of them have increased their standard variable mortgage rate.. I have to ask by how much Canterbury homeowners (on variable rate or tracker mortgages) will see their repayments increase? Whilst this is the first raise in interest rates in over 10 years, it must be noted it is at a significantly low level compared to figures in the 1970s and early 1990s. Many of my readers talk of interest rates at 17 per cent when Sir Geoffrey Howe increased them to try and combat the hyperinflation (from the fallout of the financial crisis that hit Britain in the 1970’s) and Norman Lamont in September 1992 with the infamous Black Wednesday crisis, when interest rates were raised from 10% to 15% in just one day. So, what will this interest rate actually do to the Canterbury housing market? Well, if I’m being frank – not a great deal. The proportion of Canterbury homeowners with variable rate mortgages (and thus directly affected by a Bank of England rate rise) will be smaller than in the past, in part because the vast majority of new mortgages in recent years were taken on fixed interest rates. The proportion of outstanding mortgages on variable rates has fallen to a record low of 42.3 per cent, down from a peak of 72.9 per cent in the autumn of 2011. If more Canterbury people are protected from interest rate rises, because they are on a fixed rate mortgage, then there is less chance of those Canterbury people having to sell their Canterbury properties because they can’t afford the monthly repayments or even worse case scenario, have them repossessed. So, what next? Because UK inflation levels are at 2.9 per cent (the country’s highest rate since April 2012) and the Bank of England is tasked by HM Government to keep inflation at 2 per cent using various monetary tools (one of which is interest rates) – you can see why interest rate rises might be on the cards in the future as increasing interest rates tends to dampen inflation. Now of course there is a certain amount of uncertainty with regard to Brexit and the negotiations thereof, but fundamentally the British economy is in decent shape. People will always need housing and as we aren’t building enough houses (as I have mentioned many times in the Canterbury Property Blog), we might see a slight dip in prices in the short term, but in the medium to long term, the Canterbury property market will always remain strong for both Canterbury homeowners and Canterbury landlords alike. We’re awarded ‘Silver’ in the Regional Office category at the British Property Awards!